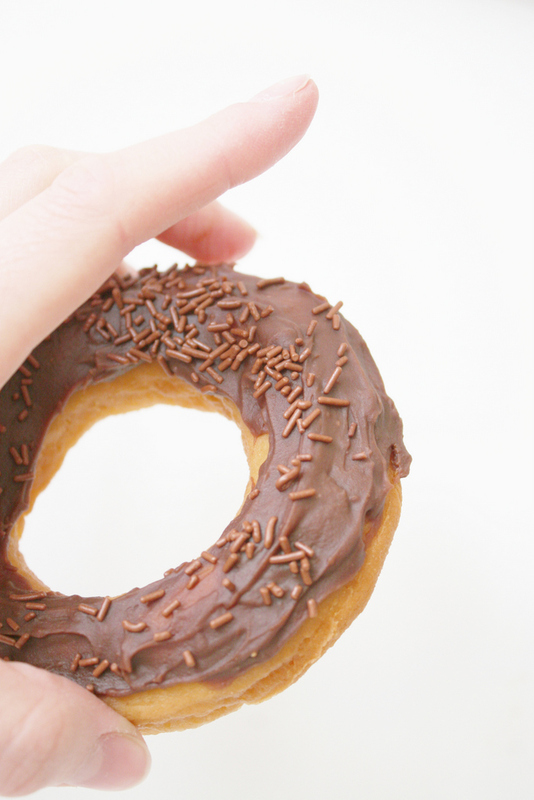 Did you know that this week is national doughnut week? Bakers across the UK participate and sell doughnuts to raise money for The Children’s Trust, who provide care, education and therapy for children with multiple disabilities. I thought that it would be as good a time as any to try out a new doughnut recipe and this time I decided to try using The Vegg. I adapted this recipe from the bbc. I subbed soya milk, soya margarine and the vegg instead of their non vegan counterparts. Before adding the milk to the dry ingredients (step 3) I just put 1 teaspoon of vegg in with the remaining milk and put it in the food processor. 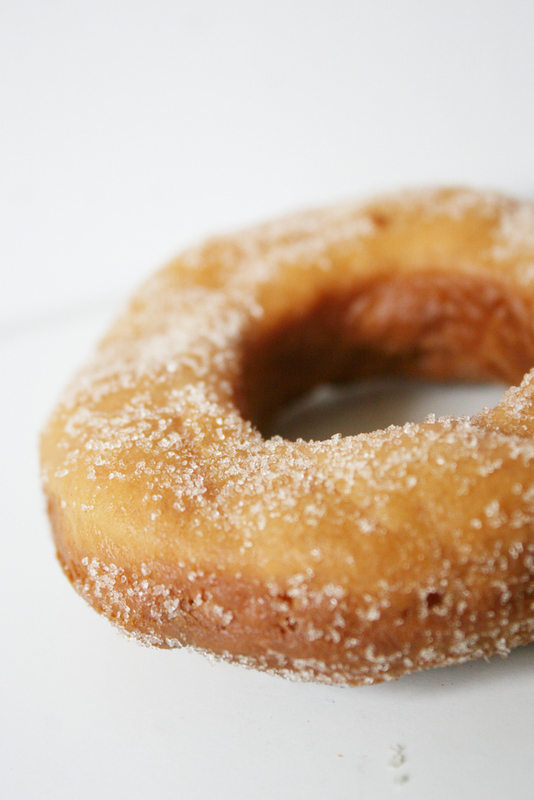 First up is this ring doughnut dusted with fairtrade unrefined golden caster sugar (picture above). 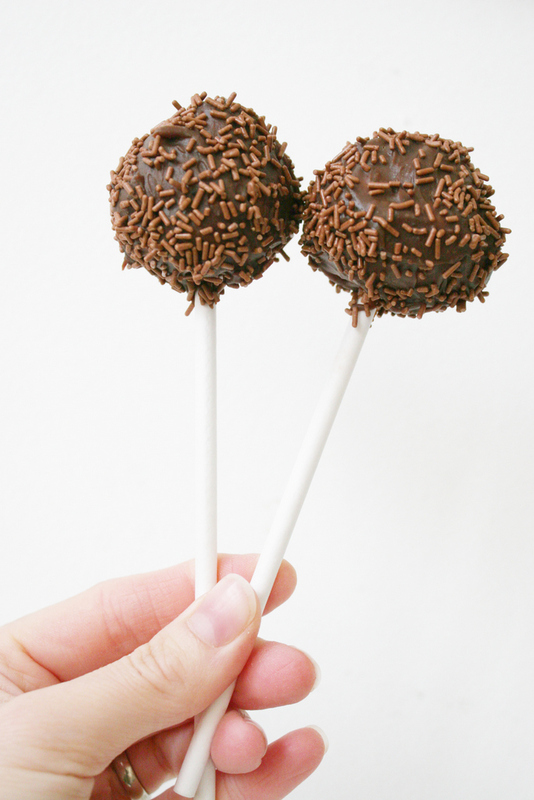 I then added chocolate ganache (I used the recipe in vegan cupcakes take over the world but there is a version on the ppk website-I used soya milk not almond milk as per original recipe) and Dr Oetker chocolate sprinkles. If you email them, they will send you a list of their products that are suitable for vegans and they also said that they are looking at reviewing their packaging to make it clear for customers. 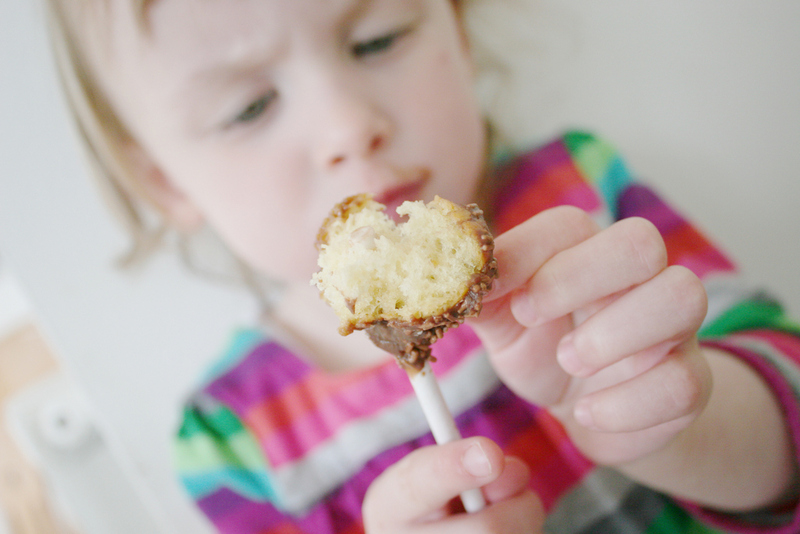 Finally, here is my first attempt at a doughnut pop! I actually have a whole doughnut inspiration board on pinterest, and there are a whole bunch of doughnut pop decorating ideas. There are a few vegan doughnuts/recipes but most of it is for decorating ideas and so aren’t necessarily vegan! I have mixed feelings about this doughnut attempt. On the one hand they did taste nice, but I wouldn’t say that they were particularly doughnutesque. In fact the next day when they were a little drier/chewier, they were almost like a french pastry, there was something about them that reminded me of I think maybe a pain-au-chocolat or something like that. Certainly we have had other attempts at doughnuts that have come out much better!! It probably didn’t help that I was attempting to make the dough whilst simultaneously making dinner for the kids and then getting them ready for bed etc. Or maybe it was simply that this recipe just does not work with straightforward vegan substitutions! It might be time to revert back to our usual doughnut recipe and of course wait until the master doughnut fryer (husband!) is around for doughnut frying duties! We may have to spend some time making doughnuts this weekend, or perhaps some cake! Particularly as Sunday is World Baking Day and it will be good to add another vegan voice!